Geometric features derived by using 3D-Cordinate metrology Software enable measurements w.r.t. part coordinate system . Multi-probing absolute measurement system makes smart replacement for 3D-CMM application to achieve accuracy and match production cycle time. Measuring system for various precision machine parts e.g. Automotive Engine parts like Engine block, cylinder head, crankshaft, camshaft, piston or precision bearing, gear parts. 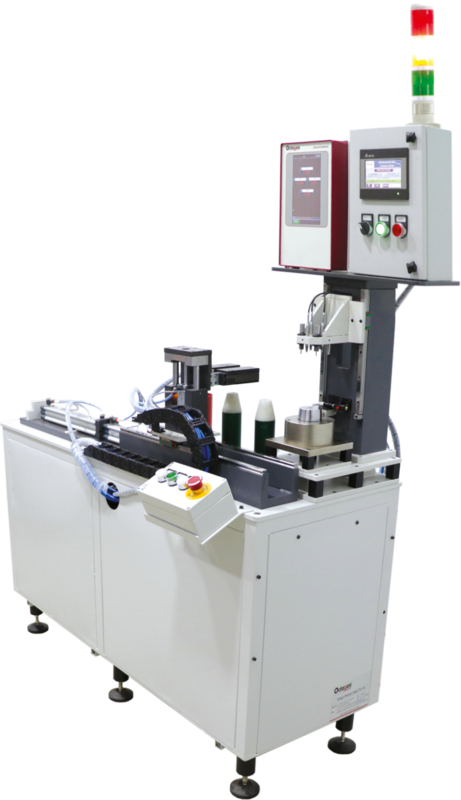 PLC / CNC controlled Automatic / Semi automatic cycle for various operations including measurement, loading, un-loading, sorting OK/NG, Grading and component marking.